Sometimes when you watch a football game that's a total blowout, you notice the crowd in the stadium start to shrink as fair-weather fans sneak out. But that's never you. Whether you're at the game or on the couch, you watch every last second, no matter how unbearable it may be. You realize that those glorious moments of victory are so much sweeter when you've also gone through the agony of defeat with your favorite team. 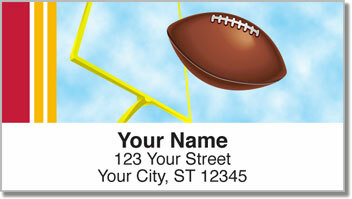 Red & Gold Football Address Labels are for the most dedicated of fans. Show your support by sticking team colors on every envelope you send! 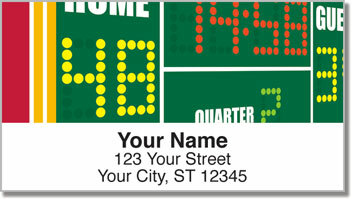 Plus, the convenient self-adhesive backing makes preparing outgoing mail a snap! 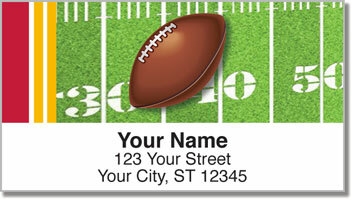 Get your very own Red & Gold Football Fan Address Labels today! 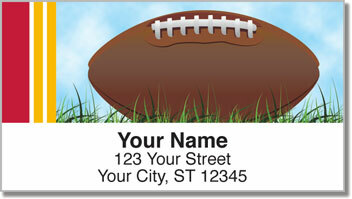 These can also be ordered as matching personal checks.